There are lots of things to be said about the iPhone X, but unavoidably one of those things is that with a starting price of $999 / £999 / AU$1,579 it’s very, very expensive. However, if you wait until 2018’s iPhone arrive you might be able to get the same features at a lower price. 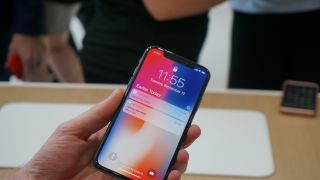 According to unnamed supply chain sources speaking to Chinese site Economic Daily, Apple will launch a high-end handset codenamed “Lisbon” and a lower-end one known as “Hangzhou” in 2018, and both of these will include much of the technology from the iPhone X, such as its OLED screen and Face ID scanner. Where will the iPhone X land on our list of best phones? The reason for this is that Apple is apparently looking to boost its market share in China, where it currently sits at 17.7% according to recent data, trailing Huawei’s 31.1%, and delivering lower cost phones without sacrificing too many features would, of course, help with that. As for how much less the low-cost iPhone 9 (or whatever it launches as) will actually be, Macotakara speculates that it could be roughly 10,000 yen (around $90 / £70 / AU$110) cheaper, so this would still be an expensive phone in that case, but more in line with other flagships. This far ahead of launch we’d be wary of any iPhone 9 or iPhone X2 rumors, so we wouldn’t count on any of this being accurate, but with China being the world’s largest smartphone market it would make sense for Apple to do what it can to make inroads there. And given Apple wouldn't launch a country-specific handset (unlike HMD Global, with the Nokia 7...) the rest of the world would be able to pick the new device up too.